Water soluble stains are sun fast, true color and non bleeding. Produces a clear, rich color without grain clouding or smearing. Highlights the grain and enhances the natural beauty of the wood. 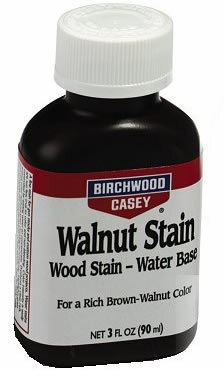 Walnut stain is a true, brown-walnut color for the traditional walnut.